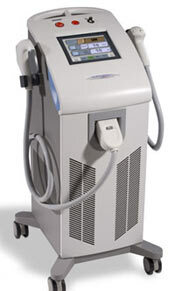 For fast and efficient laser hair removal, no cosmetic laser system can match the Alma Soprano laser machine. Available as the Alma Soprano XL or Alma Soprano Xli, this system features an 810 nm diode and the exclusive IN-Motion technology for virtually pain-free hair removal. The Soprano system can be used on all skin types, including tanned skin. Because of its fast treatment times and the fact that it requires no disposables, the Alma Soprano is one of the most cost effective cosmetic laser systems you can buy. At SunrayLaser.com, we have pre-owned Alma Soprano laser equipment for sale at the lowest possible cost to you. Plus, we stand behind everything we sell with a complete satisfaction guarantee. In addition to performing hair removal treatments, the Alma Soprano is also designed for dermal heating with the NIR (Near-Infrared) module. With its large spot size, fast treatment time and DualChill cooling system, the Alma Harmony laser machine is a breed apart from other options. SunrayLaser.com has used Alma Soprano laser equipment for sale at prices that are up to 60% off the new retail cost. That can result in thousands of dollars in savings for you. If you are looking for pricing information on a pre-owned Alma Soprano laser machine, even if you are not ready to buy right now, fill out the contact form below and we’ll provide a fast price quote with absolutely no obligation at all.